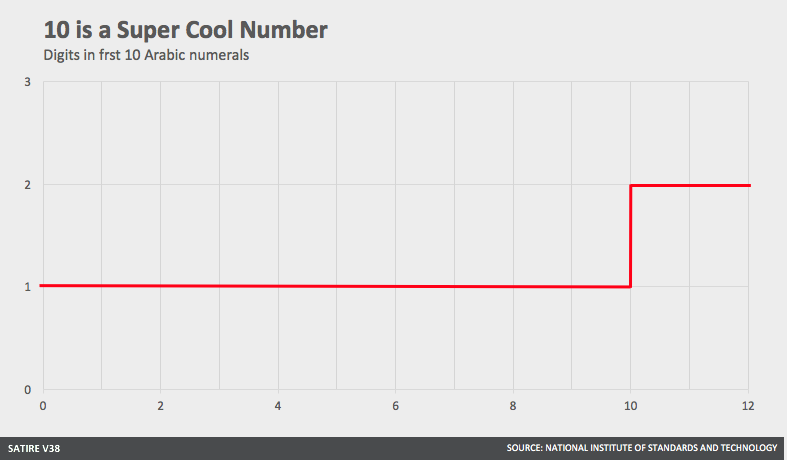 Satire V38's crack team of statisticians has determined that 10 is super cool. Although Russell Westbrook averaged a triple-double for the entire series, the Oklahoma City Thunder were eliminated from the first round of the NBA Playoffs last night by James Harden's Houston Rockets. Some have called this the smoking gun that proves that Westbrook's selfish stat-padding and triple-double hunting destroyed the Thunder's chances of contending this season. But to all the Harden bandwagon-ers out there, let Satire V38 just remind you of a simple fact: triple doubles are dope. And Westbrook gets triple-doubles. Winning, on the other hand, is overrated. It's such 1960s-era, Bill Russell kind of thing. We're living in 20-freaking-17, and it's time to put an end to the conventional wisdom that winning is good. Every team wants to win – where's the excitement in that? Fortunately, there is no better man to delineate this divide between stats and wins than Russell Westbrook, this season's clear MVP. 31.6 10.7 10.4, 1.6 0.4. 81 34.6 10.2, 24. 0.425 2.5 7.2. Notice the unmistakable jump in the graph? This is why triple-doubles are cool and Westbrook is the MVP. As our model indicates, 10 is the first number that has two digits in it. This special property makes 10 much cooler than every other number. Simple as that. Thus, a player who can consistently average 31-10-10 of something every night is clearly much more valuable than a player who averages 29-11-8 of those same stats, even if takes the latter player 25 percent less shots to get those stats, and the latter player wins more. As we say here at Satire V38: numbers never lie. 10 is cool, and therefore so are triple-doubles. Winning is not a number, and thus is lame. Russell Westbrook is the clear choice for MVP!